Given this popularity, why then, do floor plan sections in log-home magazines devote so little space to the actual layouts? Most so-called plans emphasize pictures of the outside of homes or all the wonderful services that the company featuring the plan offers, leaving so little room for the actual floor plan that you need a magnifying glass to see it. Forget trying to walk your fingers through the rooms. The reason some plans pages have so little plan and so much sell is simple economics. As companies found their marketing budgets shrinking during hard times, they discovered that the most popular section in log-home magazines is floor plans and that the cost to advertise in this section is cheaper than in the front of the magazine. All they have to do to qualify for the lower floor plan rate is make sure there’s a plan somewhere on their ad page. Size doesn’t matter. The rest of the space they can use to brag about themselves. The result, however, is that readers are thwarted. They can’t read the plans in the floor plan section, and they blame the magazines for showing useless plans. It’s hard to fault the magazines, which need the revenue. 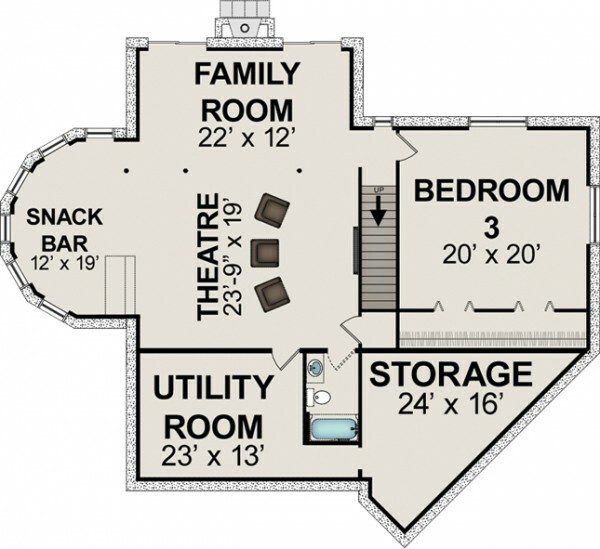 But since they’re in no financial position to enforce any realistic requirements to qualify for the floor plan section, it would be helpful and ultimately profitable if companies recognized the appeal of plans to readers and tried to devote a third to a half of the space to the actual room layout. The best sources for readable floor plans are individual companies’ websites, the floor plan section of loghome.com. The latter are searchable by size. Even though most plans are too small to read on a computer screen, just click on them for a readable version. Or look for my earlier book, 100 Best Log Home Floor Plans. Just be mindful of copyright restrictions governing their use by companies that didn’t originate the plans.